In the 1960s, a young theoretical physicist named Stephen Hawking rose to prominence as a primary collaborator with Roger Penrose. By his mid-20s, he had proven a number of important theorems in General Relativity, and was a rising star when tragedy struck: he was diagnosed with amyotrophic lateral sclerosis (ALS). As his muscles weakened and his body betrayed him, he remarkably continued and extended his work, performing brilliant and detailed calculations using methods he himself uniquely devised. As he became wheelchair-bound and lost nearly all motor control, he made important developments in the physics of spacetime and the field of black holes, how they radiate and decay, and whether they lose or conserve information. His popular works like A Brief History Of Time inspired generations of scientists and science enthusiasts alike. Yet despite all his achievements, there were some major scientific lessons that he died having never learned. Even our heroes fall short of perfection. Black holes are not isolated objects in space, but exist amidst the matter and energy in the Universe, galaxy, and star systems where they reside. They grow by accreting and devouring matter and energy, but also lose energy over time due to the competing process of Hawking radiation. Scientifically, what Hawking achieved was remarkable. He did more in the first decade of his career to further our knowledge of the Universe than most physicists achieve in a lifetime. His early work focused on singularity theorems, describing where the physics of the Universe breaks down in General Relativity. Hawking demonstrated that these conditions were physically important, and not mere mathematical curiosities. Black holes and other singular spacetimes contained them; Hawking helped categorize and describe them. He then tackled the event horizon, describing their area, temperature, and entropy, among other properties. He wrote about what happened under conditions where two event horizons merged. Most famously, he applied quantum field theory to the conditions around an event horizon, and found that black holes slowly evaporate through a process we now call Hawking radiation. By the mid-1970s, he was a titan of the field of astrophysics. Hawking radiation is what inevitably results from the predictions of quantum physics in the curved spacetime surrounding a black hole’s event horizon. 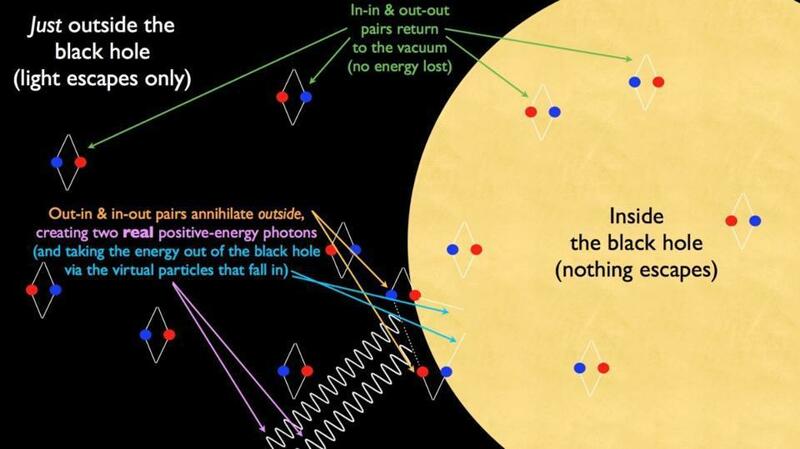 This diagram shows that it’s the energy from outside the event horizon that creates the radiation, meaning that the black hole must lose mass to compensate. He also made an incredible impact on society, popularizing his work and some esoteric aspects of theoretical physics. Questions like “what happens as you fall into a black hole?” or “how was the Universe born?” weren’t thought to be of interest to the general public, but Hawking proved the skeptics wrong, selling millions of copies of his books and later becoming an iconic celebrity for his curiosity and communication skills. He demonstrated himself to be witty, humorous, and optimistic in many ways, despite being wheelchair-bound and unable to vocalize his thoughts. As his body further decayed, his mind remained sharp and curious, and he continued taking on students and writing scientific papers. He was even instrumental in the viral ice bucket challenge, which helped raise money and awareness for ALS research. He remained active, despite his health, until the day he died. His work, his life, and his scientific contributions made him an inspiration to millions across the world, including to me. But the combination of his achievements and his affliction with ALS — combined with his meteoric fame — often made him immune to justified criticism. As a result, he spent decades making false, outdated, or misleading claims to the general population that permanently harmed the public understanding of science. He claimed to have solutions to problems that fell apart on a cursory glance; he proclaimed doomsday for humanity repeatedly with no evidence to back such claims up; he ignored the good work done by others in his own field. Despite his incredible successes in a number of arenas, there are some major scientific lessons he never learned. Here’s your chance to learn them now. 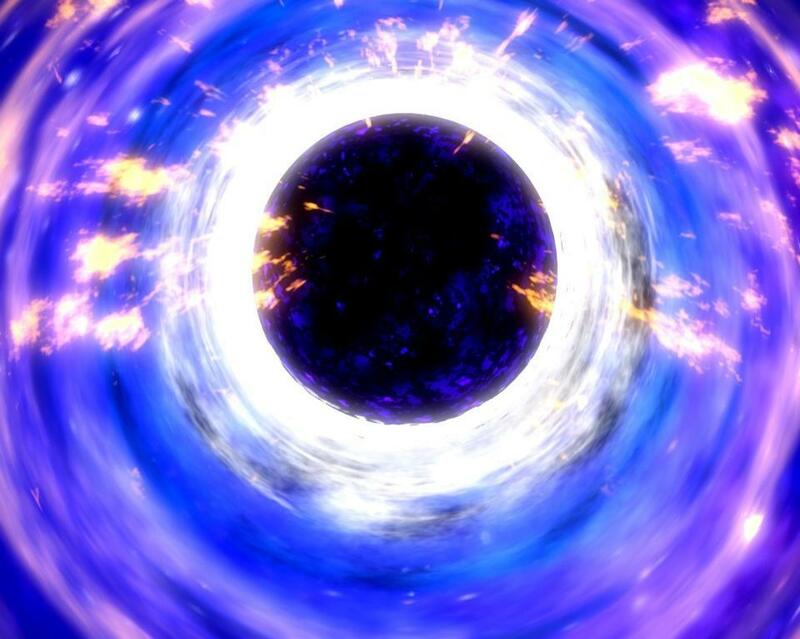 Over long enough timescales, black holes shrink and evaporate thanks to Hawking radiation. That’s where information loss occurs, as the radiation no longer contains the information once encoded on the horizon. 1.) 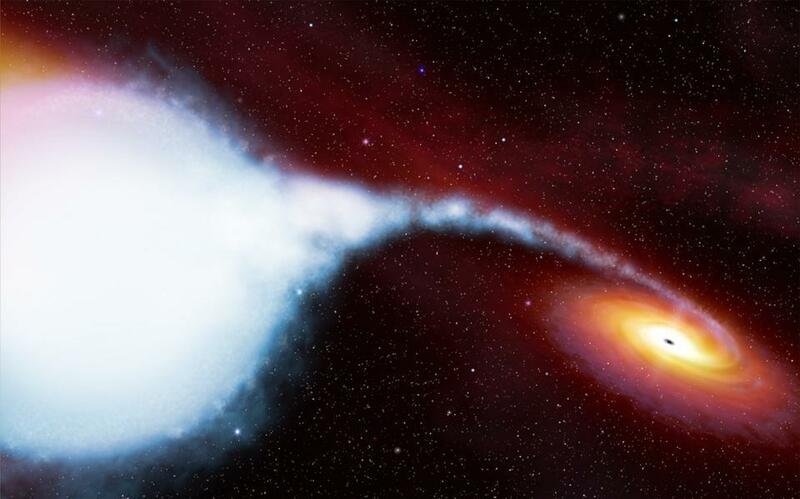 We still don’t know whether black holes destroy information. A black hole, at its core, can be completely described by only three parameters: its mass, its angular momentum, and its charge. This no-hair theorem seems at odds with the fact that objects that can fall in — like, say, a book — contain a lot more information than that, and the laws of thermodynamics do not allow us to decrease information (or entropy) as time goes forward. While the information within a book may get imprinted on a black hole’s event horizon, eventually that black hole will decay to purely thermal radiation: Hawking radiation. What does this mean for the book’s information? Is it conserved, somehow, and entangled in the quantum morass of radiation that gets emitted? Or is it lost forever to the abyss of the black hole? Despite Hawking’s numerous grandiose claims, this question remains unanswered. The black hole information paradox has outlived the paradox’s creator. 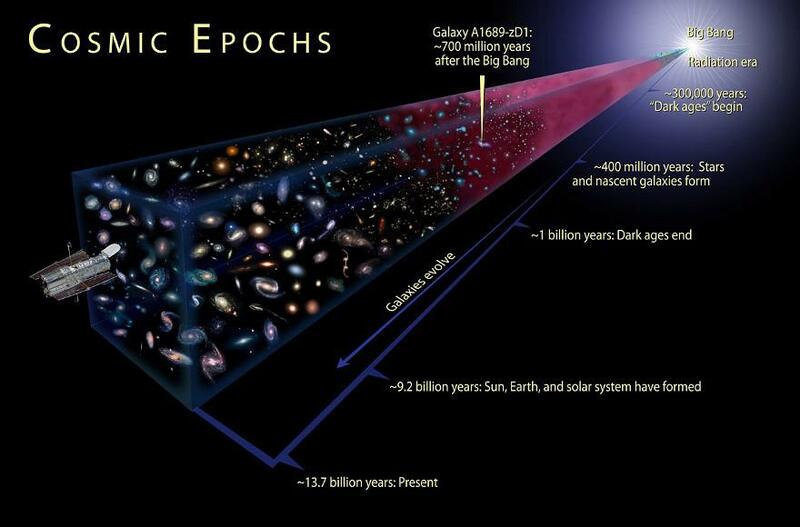 The stars and galaxies we see today didn’t always exist, and the farther back we go, the closer to an apparent singularity the Universe gets, but there is a limit to that extrapolation. 2.) The Big Bang does not necessitate a singularity. If the Universe is expanding and cooling today, then it must have been hotter, denser, and smaller in the past. Extrapolate back far enough, and you can imagine all of the matter and energy in the Universe getting condensed into a single point: a singularity. But this completely ignores everything we’ve learned since 1979 about the conditions that set up the Big Bang. It completely ignores cosmic inflation, which tells us that before you ever reach that singular beginning, the Universe was described by a different physical state, one that may not have a singular beginning at all. The only theorem showing that an inflationary state can’t be eternal to the past can be circumvented in a number of ways, meaning the Universe may not have begun from a singularity at all. For all of Hawking’s talk of “what came before the beginning of time,” the Universe does not compel us to believe that time itself necessarily had a beginning at all. 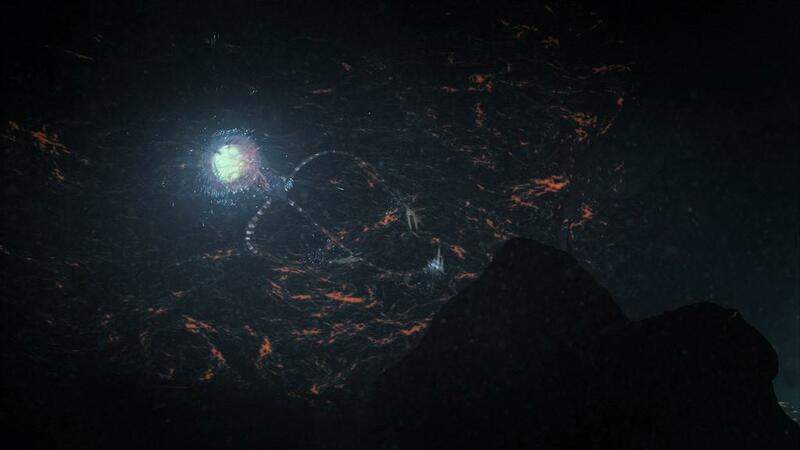 An illustration of an imagined Europa Octo alien swimming away from a rock. Europa, a moon orbiting the planet Jupiter, is often regarded as the most likely candidate world in our Solar System beyond Earth to harbor life. And though it could be potentially dangerous to our own, it isn’t necessarily because of malevolent intentions. 3.) Humans are not doomed to be destroyed by aliens, A.I., or ourselves. While it’s important to be cautious about the actions that we take as humans, imagining the worst possible outcome and lauding it as inevitable is not only fatalistic, it’s bad science. Sure, being circumspect about our actions and policies is important, but surely it’s equally important to be humble about the forces we do not yet understand, and to honestly examine all the aspects of what we do understand. Intelligent aliens may be hostile, or they may view humans as inconsequential ants, but there are compelling reasons to believe that — if they exist — they may be curious and peaceful. Furthermore, even if they are hostile, humanity may survive it, just as ants have survived us. Even with pollution and global warming, humanity is unlikely to go extinct, and the greatest danger from A.I. isn’t that the robots will become self-aware and try to kill us, but that a nefarious human will program them to turn on us. It’s up to humanity to carve our own, bold path in the Universe in the face of uncertainty, not to let our most base fears about annihilation deter us from our greatest ambitions. 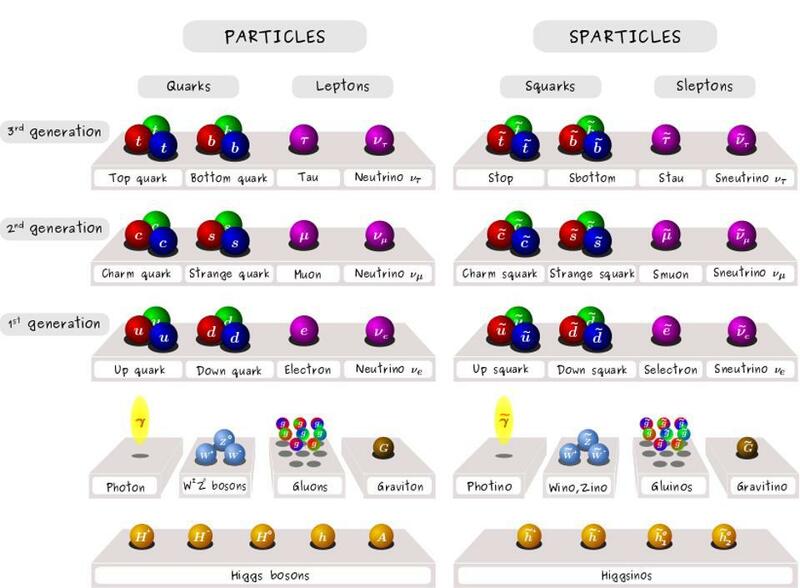 The Standard Model particles and their supersymmetric counterparts. This spectrum of particles is an inevitable consequence of unifying the four fundamental forces in the context of String Theory, but supersymmetry, string theory, and the presence of extra dimensions all remain speculative and without any observational evidence. 4.) Be humble about your own speculative, unproven ideas. This is a pitfall that has afflicted many of the greatest minds throughout scientific history: to fall in love with their own fringe scientific ideas so thoroughly that you tout them with the certainty normally reserved for verified, validated, robust theories. Hawking’s no-boundary proposal is speculative and unproven, yet Hawking will often (including in A Brief History Of Time) speak about it with the same certainty he’d speak about black holes. Ideas like baby Universes, a unifying theory of everything, and higher dimensions may be common, but they lack evidence. In many senses, they remain untested, while in others, the evidence that could support them has failed to materialize. This has never stopped Hawking from touting them, much to the chagrin of careful scientists everywhere. Unproven ideas should never be a substitute for legitimate facts, yet Hawking, in every book he ever wrote, never tells you when he strays from the confirmed-and-validated into this speculative realm, particularly where his own ideas are concerned. To an insider, it feels like the definition of selling out: using your fame and clout for self-promotion, rather than to educate and elucidate humanity’s knowledge and the limits of that knowledge. 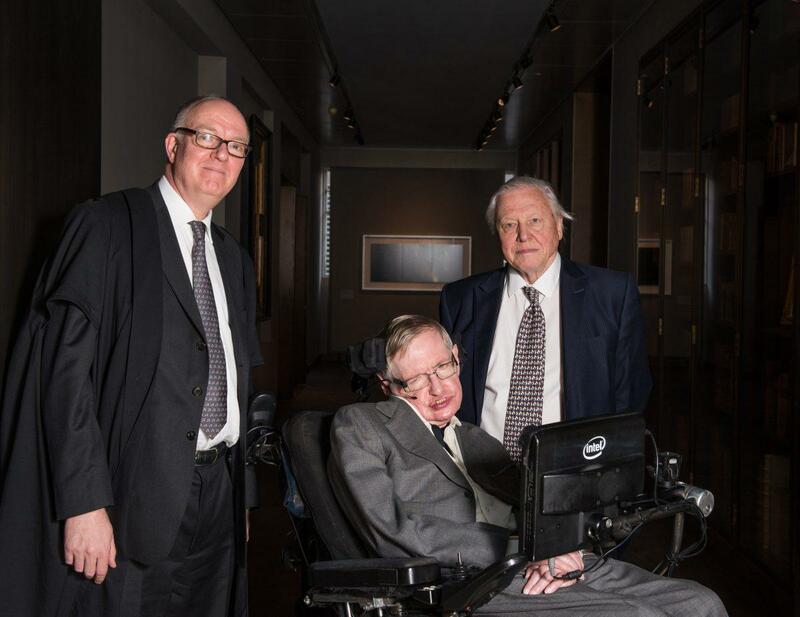 Stephen Hawking, at age 73 (in 2015), with Richard Ovenden and Sir David Attenborough, at the opening of the Weston Library at Oxford. Stephen Hawking was a titan of science, of science communication, and an enduring symbol of how much someone with a disability could achieve in this world. His accomplishments — particularly his scientific work from the 1960s and 1970s — created vibrant areas of research that are still flourishing today. His words excited and inspired millions to learn more about the Universe, and his impact on society has been greater than any science communicator since Carl Sagan. Yet, there are some simple and important lessons, in the realms of physics and in that of being a good human being, that Hawking never learned. He belongs to the ages now, but both the lessons he taught us and the lessons he failed to learn for himself are open to us all. May we memorialize him in the best way possible: by increasing our own knowledge and curiosity to live better lives. This article was written by Ethan Siegel from Forbes and was legally licensed through the NewsCred publisher network. Please direct all licensing questions to legal@newscred.com.